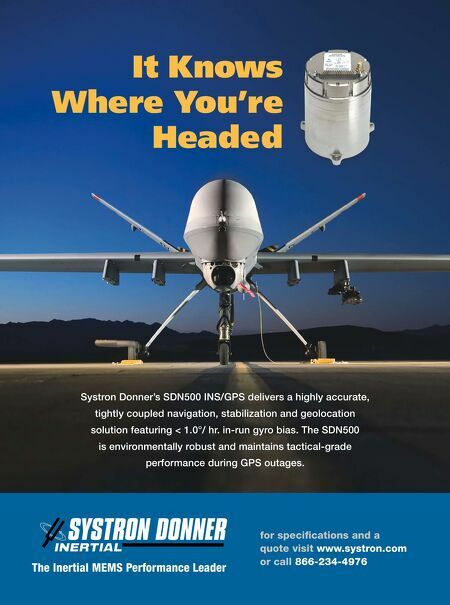 It Knows Where You're Headed The Inertial MEMS Performance Leader for specifi cations and a quote visit www.systron.com or call 866-234-4976 Systron Donner's SDN500 INS/GPS delivers a highly accurate, tightly coupled navigation, stabilization and geolocation solution featuring < 1.0°/ hr. in-run gyro bias. The SDN500 is environmentally robust and maintains tactical-grade performance during GPS outages.